Eye catching Le Phare new old stock manual winder with silver dial, red and blue markers and a blue rotating bezel. Circa 1970’s Swiss made watch in new condition. Movement is AS/ST cal 1950/51. 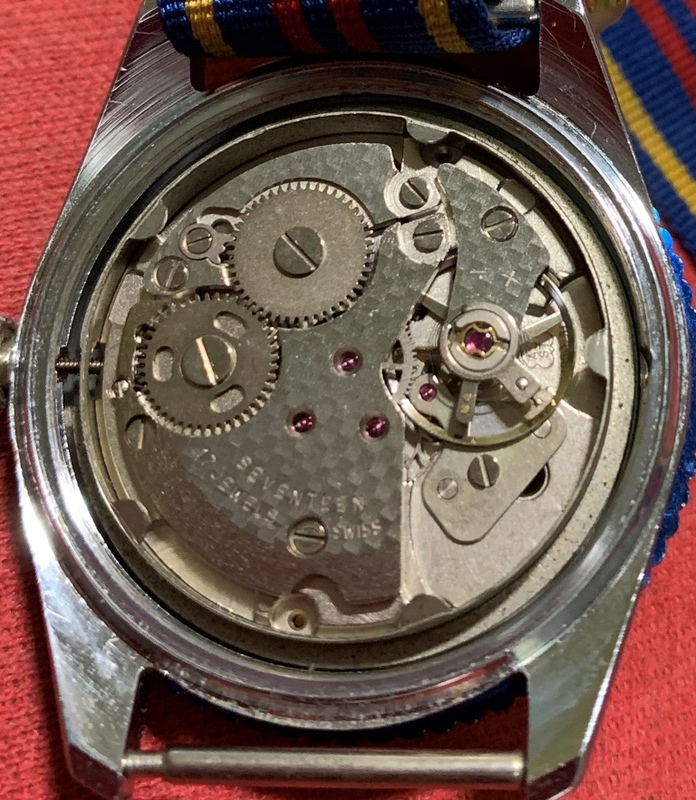 Photos are magnified and show details not seen by naked eye, the case measures 35 mm across (not including crown) x 40 mm lug to lug and is fit with a new NATO bracelet.